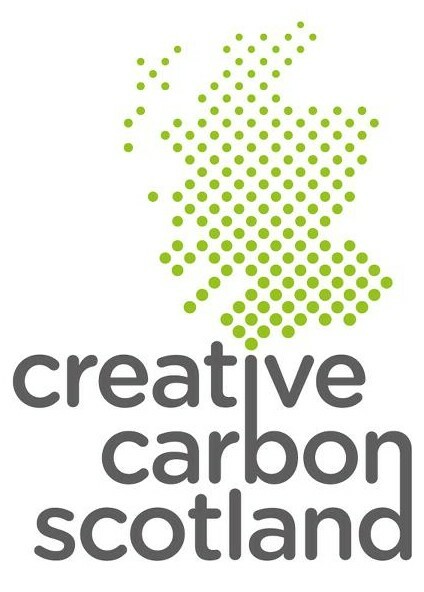 Part of Creative Carbon Scotland’s mission is to support arts organisations, artists and audiences to be as environmentally sustainably as possible. To achieve this we provide artists and arts organisations with all of the practical training, tools and support they need to begin reducing their environmental impact through a year-round training programme across the country and one-on-one support via phone and email. This enables individuals and organisations to get ahead of climate change regulations and make the most of the financial savings, artistic opportunities and market advantages to operating in more sustainable ways. Our training programme and website provide staff in any role in cultural organisations with the necessary skills and knowledge to identify where their key environmental impacts lie and implement actions to reduce their carbon footprint. Our workshops cover all the areas of environmental impact you need to consider when it comes to measuring and reducing your carbon footprint. They are suitable to all levels and staff in any role in cultural organisations. Workshop 1 provides organisations and individuals with an introduction to the key areas of carbon measuring and reduction to start thinking about – energy (electricity and gas), water, waste and travel. You will be introduced to the CCS Green Arts Portal and two widely used online tools developed especially for SMEs and cultural sector organisations. Workshop 2 offers practical training for measuring and reducing travel- related carbon emissions. Travel is often the biggest area of environmental impact for cultural organisations and probably the most complex areas for data gathering. You will be lead through what is manageable for you to measure in your first year and trained on how to measure different types of travel undertaken by your organization as well as calculating your travel carbon footprint. Green Meets are a less formal workshop where arts organisations have the chance to get together to talk about reducing their environmental impact – the areas they have had success in, what they’re struggling with and what they’re feeling inspired by. CCS will provide a specific focus such as developing an environmental policy or measuring audience travel, as well as allowing plenty of time for more general discussion between participants. We host local Green Meets across Scotland on a quarterly basis. We have now finalised dates for local Green Meets taking place over October and November. 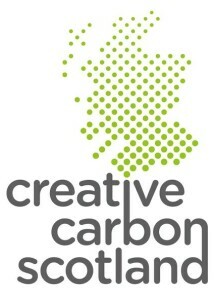 To attend a Green Meet near you get in touch with Gemma@creativecarbonscotland.com. Keep an eye on our Events page for more details and dates on workshops 1 and 2 to come shortly! The post Autumn – Winter ’13 Training Programme Dates Announced appeared first on Creative Carbon Scotland. The Edinburgh Mela has taken some really exciting new steps to greening this year’s festival (Sat 31st Aug – Sun 1st Sept). The two initiatives they have taken on this year tackle the issues of waste and audience travel. With food and drink playing a big role in the festival celebrations, they’ve made the decision to ban all non-compostable packaging from the site, working towards their aim to become a zero waste festival. 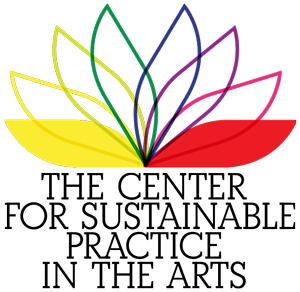 This year they will be working with the hugely innovative Edinburgh-based company Vegware, the UK’s first and only completely compostable food packaging firm, on board as Associate Sponsor of Greening The Mela initiative. Vegware’s catering disposables are made from plants, not plastic. In 2013 the Edinburgh firm won the Queen’s Award for Enterprise in Sustainable Development and were named the best small business in the UK. Its Food Waste Network offers a free matchmaking service for any UK business seeking food waste recycling. The Mela is encouraging audiences to do their bit by putting any used Vegware and leftover food in the compostables bin so it can all be composted! More info on Vegware here. They are also working hard to encourage visitors to choose to cycle to the Mela this year. Through funding from the EU’s CHAMP cycling project, the City of Edinburgh Council will be helping the festival promote walking and cycling routes to the Mela, and there will be some exciting activities to get involved in. Both initiatives are a great example of how to increase the mindfulness of audiences and the environmental impact of their actions not only during the festivities but also when making plans to travel to and from festival. Well done Edinburgh Mela! The post Greening the Edinburgh Mela appeared first on Creative Carbon Scotland. This session is designed to give theatre makers and producers an opportunity to hear how the project is progressing and work together on collaborating over programming and artistic response. The event will be a learning seminar to share best practice and showcase this project to an international audience. 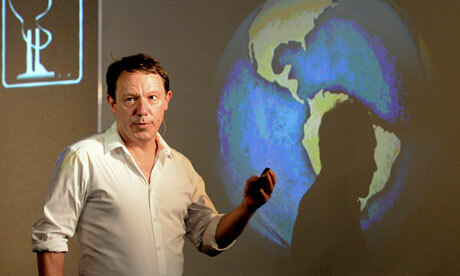 The British newspaper The Guardian asks: What have the cultural and creative industries got to do with climate change? What have arts and culture got to do with climate change? There’s no doubt about the capability of the arts to create life-changing experiences — and life will change quite significantly if we don’t look after our planet. 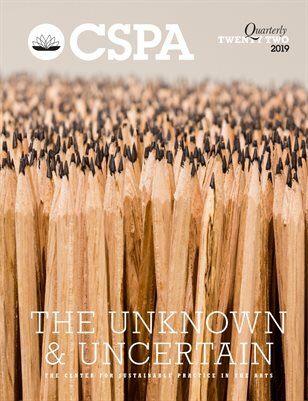 why reporting data will give the arts confidence to act. From Sarah Moon: Tauris to Premiere in NYC… and you can help. 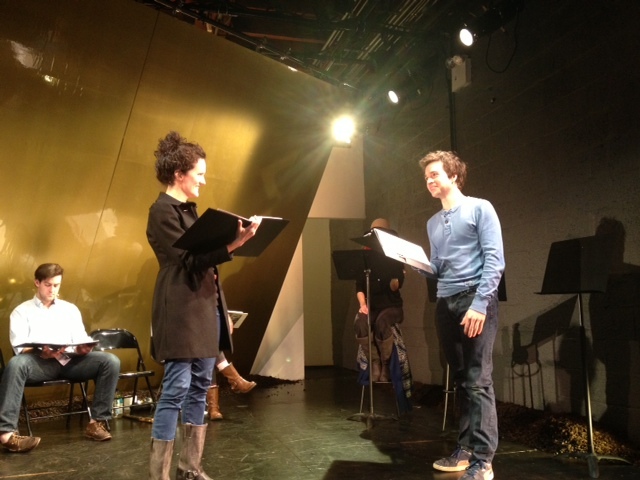 I’m excited to let you know that my play TAURIS, an adaptation of Euripides Iphegenia at Tauris, on evironmental themes, will be premiering at New York’s Planet Connections Festivity in June. We’ve put together a great team that includes Director Jenny Fersch, Composer/musician Daniel Emond, Actors Erin Layton, Bryan Burton, Matt Jacques and Laura Delhauer. We are raising funds now to support the full production of the play. We need the support of people like you who know the creators behind the project and can either donate or help us spread the word. You can find out more about the production, watch our video and donate here: http://www.kickstarter.com/projects/1310353082/tauris-in-planet-connections-theatre-festivity. For those who contributed to the staged reading at the Wild Project in March, without which this production would not be happening, thank you so much. I want you to know that your support is allowing this play to reach the next step and me to achieve a dream I’ve been working toward for about ten years. The Play: An adaptation of Euripides’ Iphegenia at Tauris, this epic musical adventure engages its audience in questions both personal and social: cultural attitudes toward environmental change, the complicated relationship between personal drive and public usefulness, and the conflict that arises when ideology gets in the way of love. Incorporating contemporary environmental concerns like mountaintop removal coal mining and the tension between fossil fuel companies and the EPA, Tauris asks audiences to consider how we transcend old enmities to find a way forward for society as a whole. Thank you for whatever support you can provide, be it $5 or $50 or $500, or helping spread the word to people excited about new plays, original composition, and/or socially and environmentally conscious art. Please help us make this first full realization of TAURIS a success! Theatre critic Kate Abbott in today’s Guardian joins Michael Billington in reporting a life-changing experience watching Ten Billion at the Royal Court. But one change is missing. What about demanding that theatre itself changes? 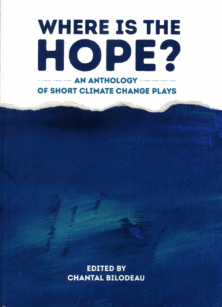 What about demanding that mainstream theatre no longer turns away from the compelling emotional, moral and intellectual questions of how humans can continue to live in a time of climate instability? Theatre is more than science, more than facts, more than an instruction manual. What about demanding that theatre takes on its full life-changing role, somewhere between fiction and fact, and becomes the place where audiences wrestle with their future? See ‘Ten Billion’ from another side. Whether a former miners’ institute, an Edwardian theatre or modern iconic buildings such as the Wales Millennium Centre or Galeri Caernarfon, arts venues occupy an important place in the communities of Wales. Today sees the start of a major, ground-breaking initiative to support forty two arts venues in Wales to become greener and leaner. The venues are all members of Creu Cymru – the development agency for theatres and arts venues in Wales. They will be asked about the way they manage their use of energy and water, their waste disposal and other environmental issues. Those who choose to will take part in a more detailed investigation with on-going support. Based on the results of the investigation venues will be given the tools and advice needed to strengthen their environmental, social and economic sustainability. By becoming more energy and resource efficient, managers of the venues will be able to save money. They will be helped to develop new strategies and communicate these to staff, contractors, suppliers and audiences. Overall, this initiative will make them fit for the future and better able to respond to the challenges of a changing world. 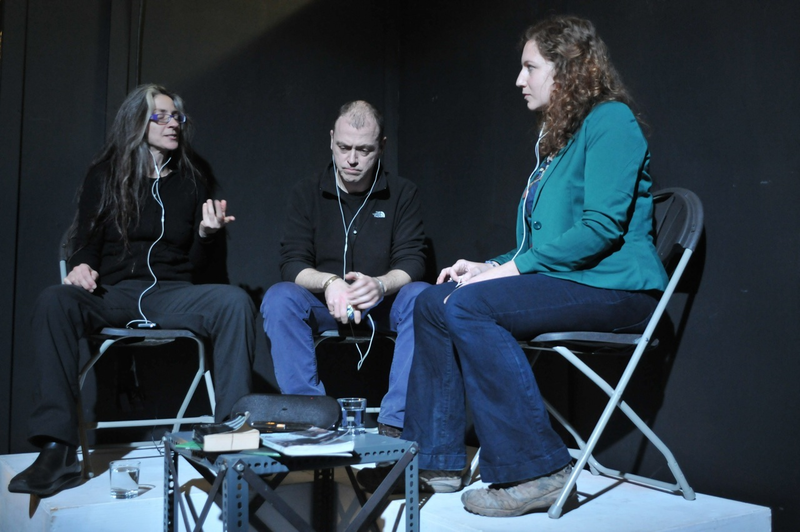 The initiative is part of Emergence – an on-going programme of work led by Cynnal Cymru-Sustain Wales and Volcano Theatre Company that aims to make sustainable development a core organising principle of the arts in Wales. This Creu Cymru Emergence initiative has been made possible by the Welsh Government’s Support For Sustainable Living grant scheme through a partnership comprising Creu Cymru, Cynnal Cymru-Sustain Wales, the ESRC BRASS Research Centre (Cardiff University) and London-based arts and environmental sustainability experts Julie’s Bicycle. BRASS and Julie’s Bicycle will provide the technical expertise. Both organisations have a track record of success in investigating and offering solutions for the environmental and social sustainability of the arts. Cynnal Cymru-Sustain Wales will use the information and learning that comes from the work to inform consultation on the development of the Welsh Government’s Sustainable Development Bill. The Creu Cymru membership consists of Wales’ most cherished theatres and arts venues that have for generations acted as hubs of social and cultural activity. With this initiative, they will be able to continue to do this in the context of a changing world and make an important contribution to the development of a sustainable Wales. Conference 12 looks at the sustainable design, development and operation of theatre buildings in relation to environmental, economic and social disciplines, and the challenges of delivering sustainable theatres for future generations. The conference will look at what sustainable development now means for theatres, what opportunities exist for theatre buildings in the new National Planning Policy Framework, how funding programmes are now promoting more sustainable capital development of theatre buildings, and what is needed to ensure theatres can meet the triple bottom line head on and continue to thrive. The conference will explore the way how theatre buildings have addressed the sustainability agenda and introduced new technologies and adapted to meet rising energy costs, tougher environmental building standards, economic constraints and the expectations of the audiences, and they will also share the experiences of the 48 London theatres on The Theatres Trust ERDF funded ECOVENUE project. Conference 12 will be of interest to those trying to maximise economic, social and environmental returns from their theatre buildings through redesign, adaptation or new builds. It provides the opportunity to discuss these issues with other theatres, government and arts policy makers, theatre consultants and architects and take part in the debate. Last year STT went green. We switched to purely internet based marketing and eliminated playbills in favor of digital projections. We used the money we saved to pay more to our artists as we strive to be a leader in production quality in the community. This year we are taking things one step further. Audiences will use their smart phones to either download the playbill to their device at home or scan a QR code to interact with the website and download the playbill to their device once they arrive. Other theaters tell you to turn your cell phones off. But not us. We want you to leave them on, in silent mode of course,” said Chris LaBove. 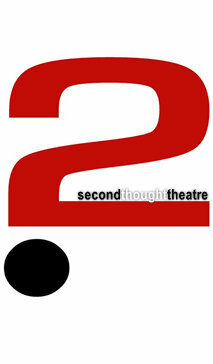 Second Thought Theatre will be announcing the 2011-2012 Season in the coming weeks. via 2nd Thought Theatre Returns to Dallas.